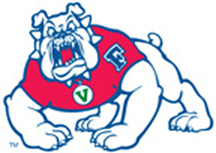 FRESNO, Calif. – The Fresno State women’s basketball team outlasted the New Mexico Lobos from the line down the stretch for a 69-65 win in its first game at the Save Mart Center in 35 days on Saturday afternoon. The ‘Dogs notched their second conference win and extended their home win streak to 18 in the process. “The girls spent a lot of time in the gym over the break, got a lot of shots up and it showed,” said Pebley. Ki-Ki Moore led the Bulldogs with 22 points, shooting an efficient 9-of-15 from the field. She also chipped in seven rebounds and three assists in the win. Fresno State opened the first half leading by as much as 12 with just under seven minutes to go in the period. The Bulldogs kept its lead at 11 by the halftime break, 40-29. Fresno State committed just three turnovers while dominating inside, having scored 20 of its points in the paint. In the second half the ’Dogs lead grew to as many as 17 with 11:27 remaining, 58-41. History began to repeat itself as the ‘Dogs have struggled maintaining second half leads as their lead shrunk to three behind a 16-2 run over the next six minutes. Moore, the team points leader, did not feel pressure when adversity faced the ’Dogs in the final minutes. The ’Dogs refocused and would not let its home winning streak go in anymore jeopardy as they closed out the Lobos over the final minutes including clutch free-throw shooting (4-of-4) by Bree Farley in the final seconds.